Here are a couple of photos from my hike in Saint Sebastian River Preserve State Park, earlier this month. 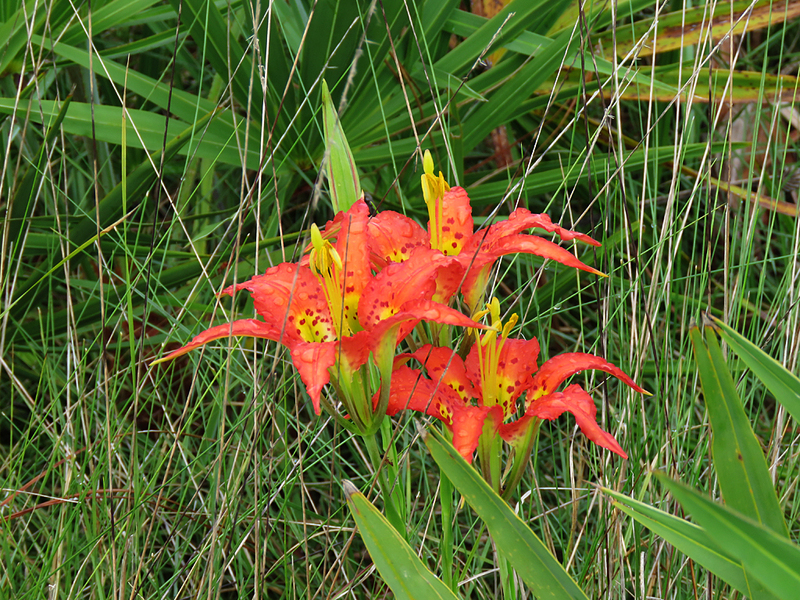 Pine Lilies are native to Florida and the US southeast coast. You can find them in places with acidic, moist soils. They are heat tolerant, too. Very Florida. This species is “Threatened”. I flushed a covey of Northern Bobwhites from the ground. The male and most of the females took off out of sight. 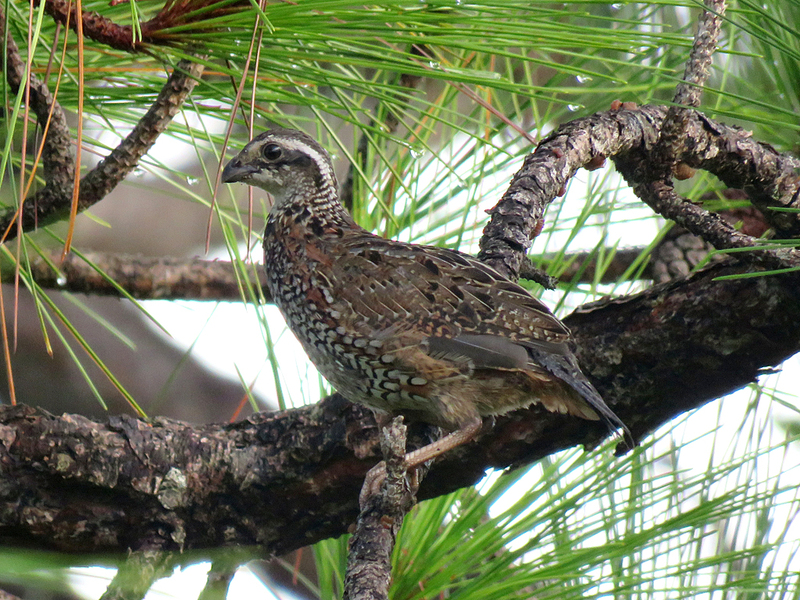 This remaining female flew into a nearby pine tree and tried to become invisible. When it became clear that the wildlife paparazzi (me) had found her, she lept into the air, flew over my head and landed somewhere in the wiregrass. Posted on 2018 September 20 by Lonely BirderPosted in BirdingTagged St. Sebastian River Preserve State Park.